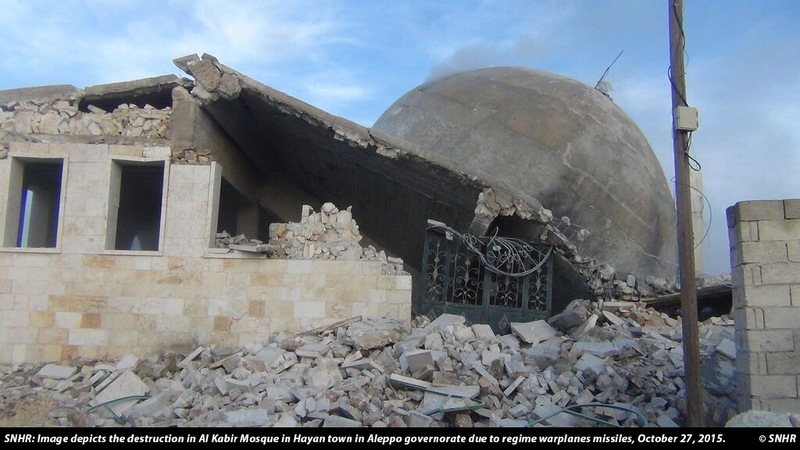 A- Government Forces (army, security forces, local militias, and foreign militias) targeted 64 facilities. D- Armed Opposition Forces targeted 4 facilities. E- Unidentified Groups targeted 4 facilities. – 26 medical facilities, 19 places of worship, 19 infrastructure, 12 educational facilities, 9 communal facilities, 3 cultural facilities, 2 refugee camps, 1 International Humanitarian Insignia, 1 diplomatic missions.